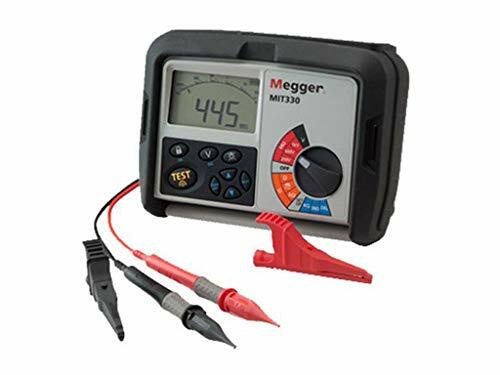 The Megger MIT300 series insulation resistance tester measures insulation resistance, voltage, and continuity in electrical installations, building maintenance, and electrical testing. 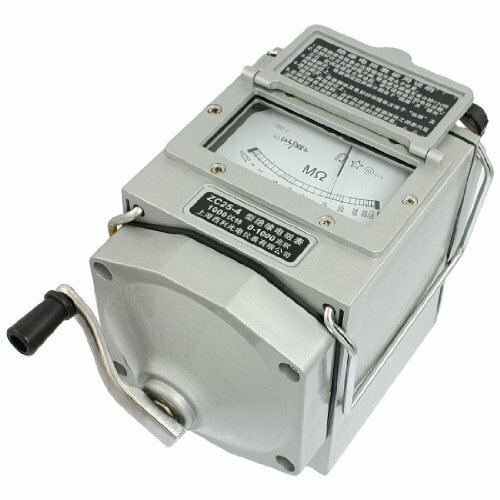 The average-sensing meter provides accurate readings when measuring linear loads, where the current or voltage has a sinusoidal waveform. 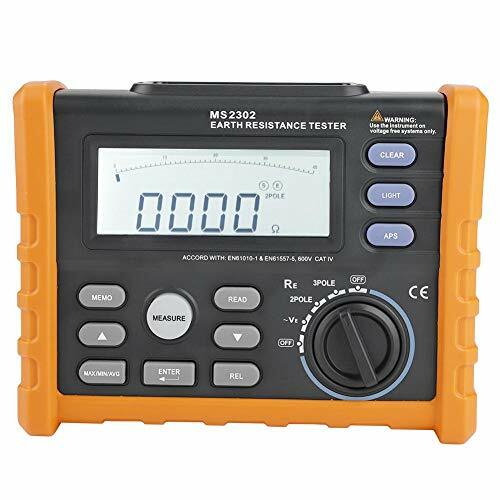 The dual LCD screen indicates test results either digitally or with an analog arc function to replicate the response of analog meters. 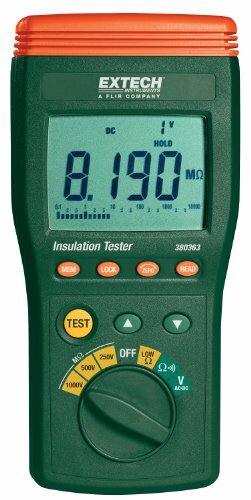 The tester measures insulation resistance from 0 to 1,000 megohms, voltage from 0 to 600V, and continuity from 0.01 to 100 ohms. 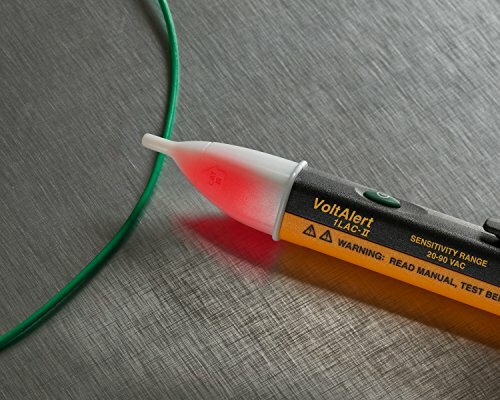 The unit has a test inhibit function that prevents testing on circuits carrying over 50V. 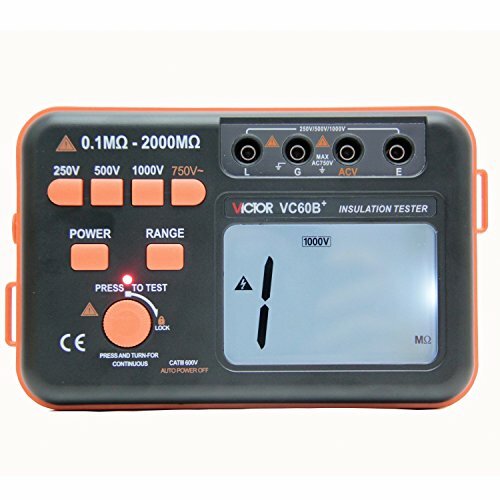 The tester is safety rated to European Standard EN61010-1, Category III, 600V. 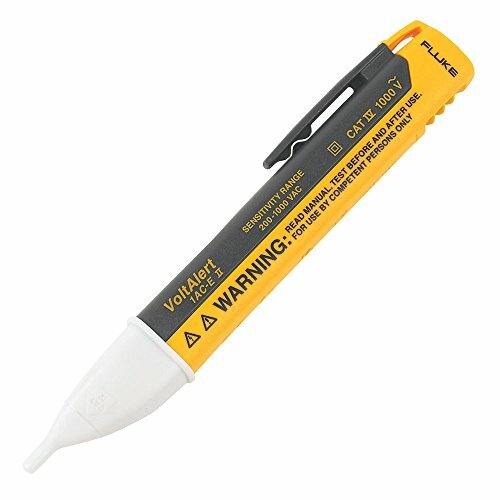 The unit is also Ingress Protection 54 (IP54)-rated for protection against dust and splashing water. The unit has a rubberized outer case for protection against bumps and short drops. 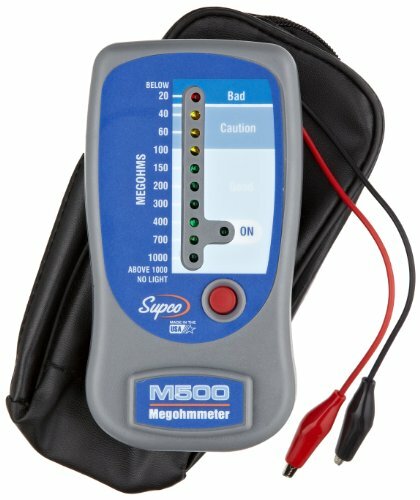 The Megger MIT300 series is commonly used by electricians and electrical contractors. 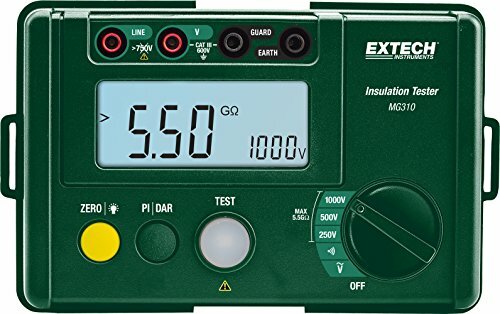 Specifications Continuity testing range 0.01 to 100 Ohms Insulation resistance range 0 to 1,000 megohms Voltage testing range 0 to 600V AC/DC Voltage test inhibit level 50V Power supply 8 AA alkaline or rechargeable batteries Weight 980g Safety standard met International Electrotechnical Commission (IEC)/European Standards (EN) 61010-1 Cat III 600V Mechanical standard met IP54, for protection from dust and splashing water Dimensions 203 x 148 x 78mm / 8 x 5.7 x 3.2 inches H is height, the vertical distance from the lowest to highest point; W is width, the horizontal distance from left to right; D is depth, the horizontal distance from front to back. 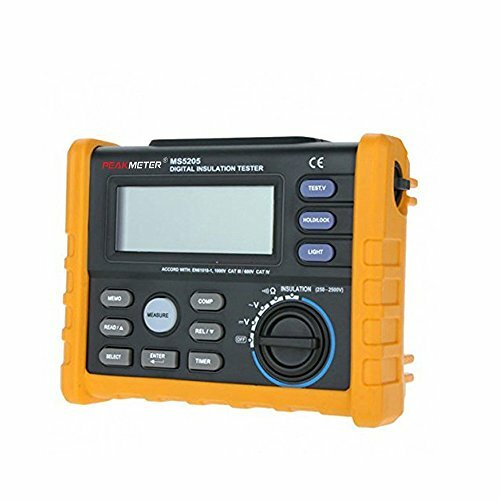 The BTMETER BT-6688B Digital Insulation Resistance Testerhave high performance, and safe configuration and improvedelectrocircuit. 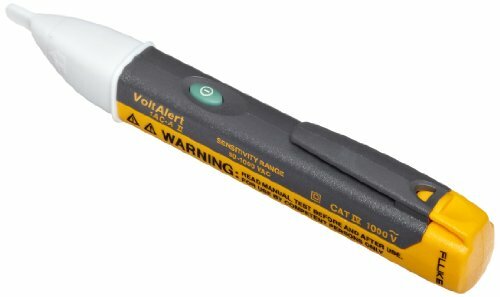 It is one new item, which has more fully function, higher precision and easieroperation. 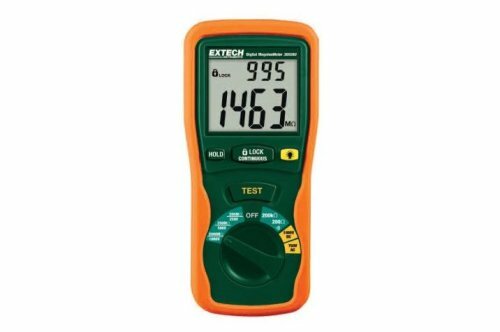 It's also one quakeproof, dustproof and dampproof tester and can fit workenvironment of outdoor. 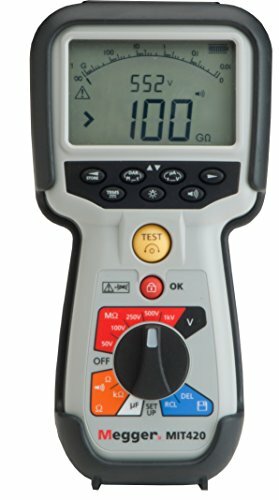 High-quality insulation tester, shipped from the United States, completed by Amazon. 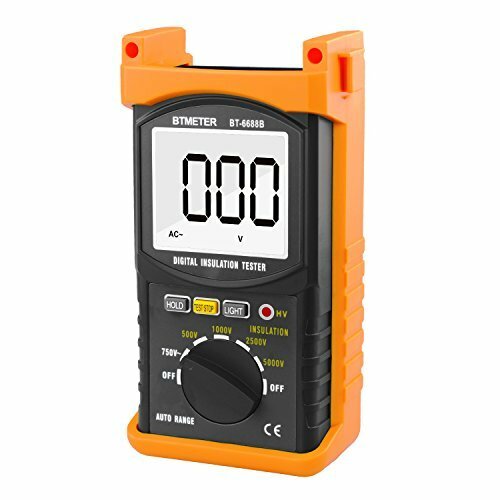 Functions: test high voltage, insulation resistance, AC voltage, data retention, low power hint, backlight lighting, high voltage hint, etc. 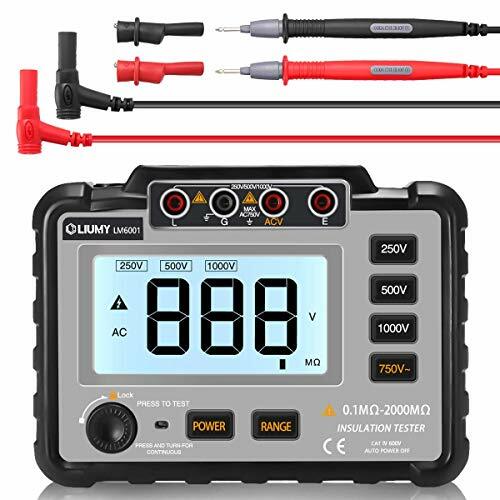 Design and manufacture of strict compliance with IEC61010-1 of instrumentation 1000V CAT III and pollution degree 2 regulations.